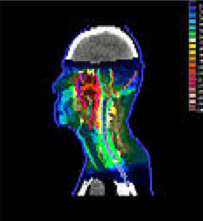 Over the past few years, there has been increasing recognition of the need anatomy and radiology teaching specific to radiation oncology, and this course will aim to address that need. This course will be held in London, Ontario over 3 days (one evening and two full days) in the Fall of 2013. It will include integrated clinical anatomy (including cadaveric sections and teaching by anatomists and surgeons), diagnostic radiology (taught by radiologists), and contouring instruction (taught by radiation oncologists). We will cover anatomy of the following regions: head-and-neck, thorax, abdomen, male/female pelvis. The program will be limited to 30 participants. Registration will occur on a rolling basis, for PGY-5s first, followed by PGY-4s, etc, until all spots are full. As an incentive to complete the survey, residents who complete the survey will have priority registration within their PGY-year. The survey link will be available until March 10, 2013.